It was 7.30pm and we were 30 minutes late for our reservation. Although our stomachs were growling loudly in protest, the comforting night breeze did not dampen our spirits. 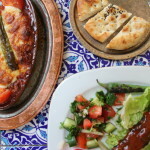 We have been looking forward to this dinner for almost a week and nothing was going to going to stop us from breaking our fast at Sofra Restaurant. Located on the second level at Shaw Towers, the restaurant’s neon sign blinked invitingly at us while we were waiting at the traffic light, eager to have our meal. 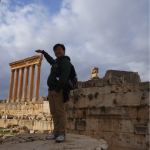 Initially, we thought the restaurant would only be half-filled as they were very accommodating to our request of changing our reservation timing. However upon arriving, we were pleasantly surprised to see that the restaurant was fully packed with huge families and groups of friends. Despite being late, the host welcomed us with a big smile and ushered us to a window seat beside the bustling street. 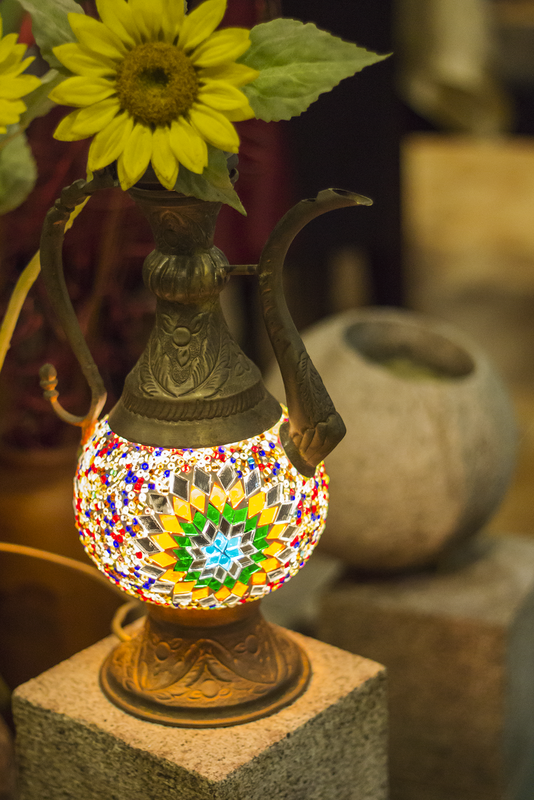 The ambience was warm and lively, with Turkish ornaments placed all around the restaurant; hookahs, Turkish lamps and unique cushions, you name it! Candles were also placed on the tables to create a laidback atmosphere. 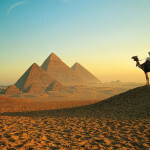 We have read a lot about the warm hospitality and friendliness of the Turks. The restaurant staff did not disappoint us. While we were going around taking photos, they gladly posed for us even though they were busy. When the chef saw us taking a photo of him, he too smiled for the camera. We were served the Hummus and Sesame and Turkish bread first. 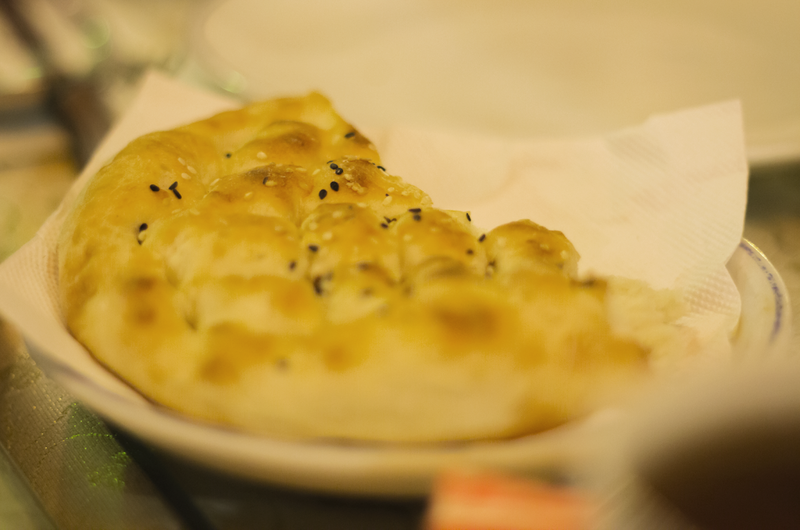 The sesame bread was light and crispy (almost like tissue prata), while the Turkish bread was more akin to pizza dough in texture. The Hummus went wonderfully with the bread, striking a balance between salty and spicy. It was the perfect dish to start off our night. 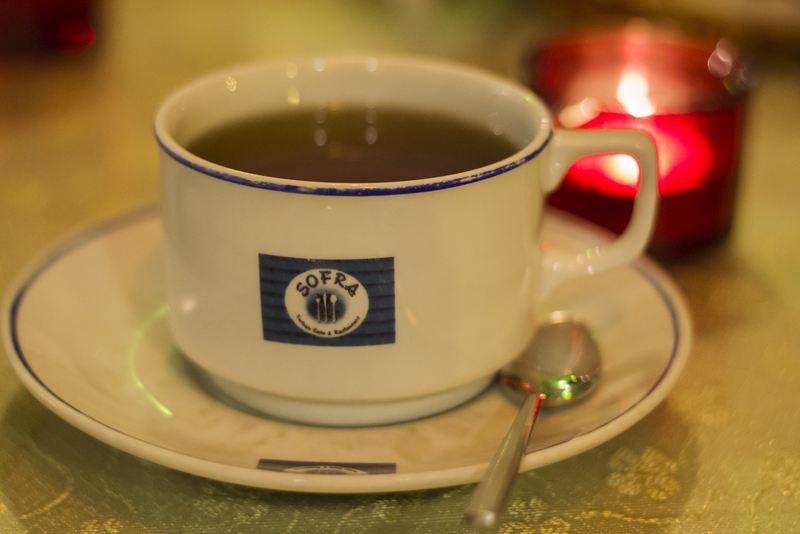 Next up, we were served the Mint Tea. 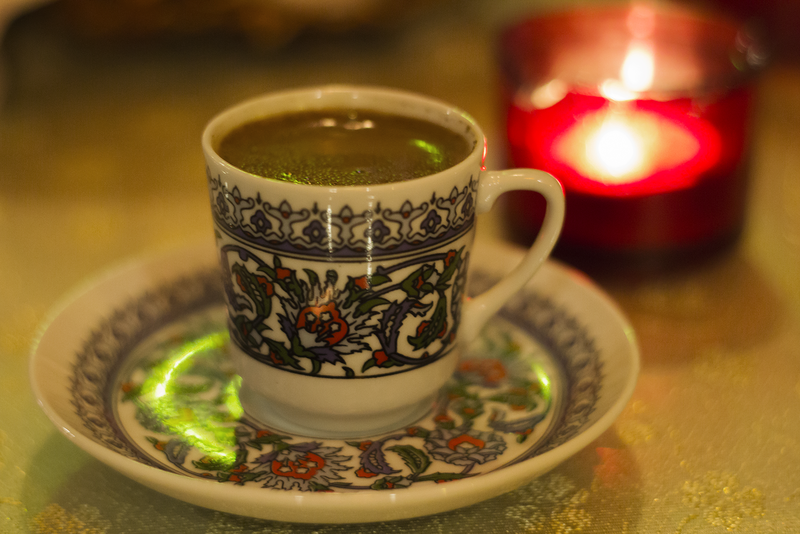 It is said that Mint Tea is a popular drink amongst the Turkish people. Eager to try it out, we had high hopes for this beverage. However, the drink did not live up to our expectations and we were disappointed by how it tasted (opinions ranged from toothpaste to mouthwash and chewing gum). coffee beans, steeped in a mere tablespoon of hot water. That was the thickness of Turkish coffee! For espresso lovers, this might just be the drink for you. Our eyes lit up at the sight of the waiters walking towards our table, carrying our main courses in hand. 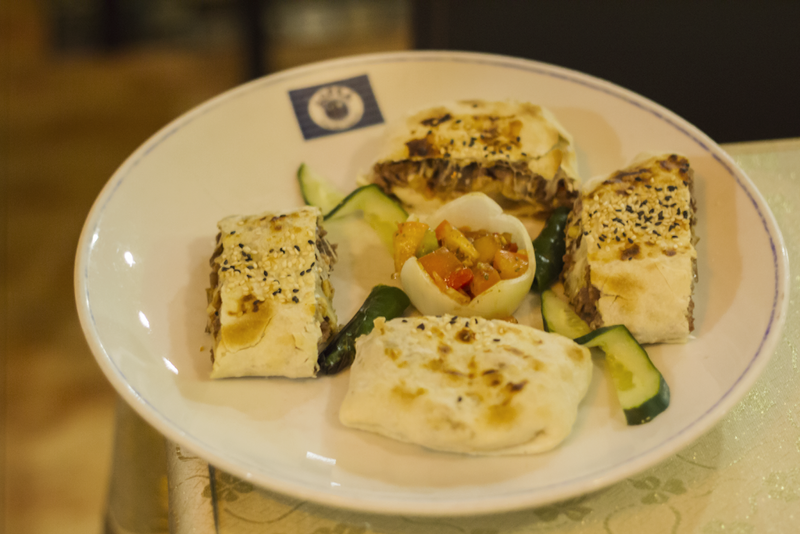 We were greeted with the Sofra Kebab which is a dish with mixed beef, lamb, eggplant, tomato and cheese filling. Similar to a burrito, the filling was tightly wrapped in freshly baked bread. The beef and lamb were grilled to tender perfection, and was flavourful in each bite. 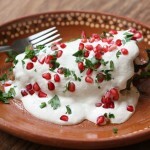 The eggplant was juicy and sweet, and complimented the well seasoned beef and lamb. With the cheese and tomato relish on the side adding on to the kebab’s rich flavour, need we say more on why you should try this dish out? Next up was the Chicken Pide. If you’re a fan of cheese, this heavenly dish will win your heart over instantly. The bread was lighter than that of a pizza’s dough and it had a distinct sweetness that enhanced the flavour of the entire dish. 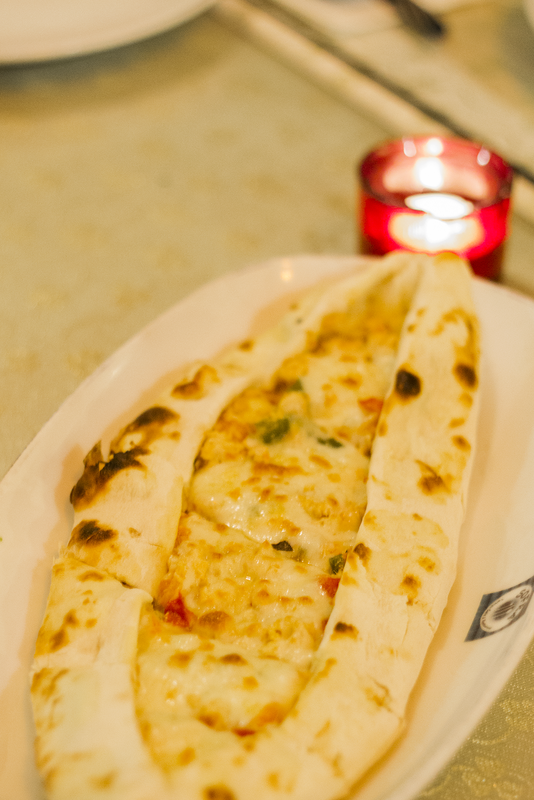 Topped with minced chicken and cheese that does not overwhelm the overall taste, the Chicken Pide is a pizza filled with spice and everything nice. Our attention deviated to the next dish immediately when it was set on the table. 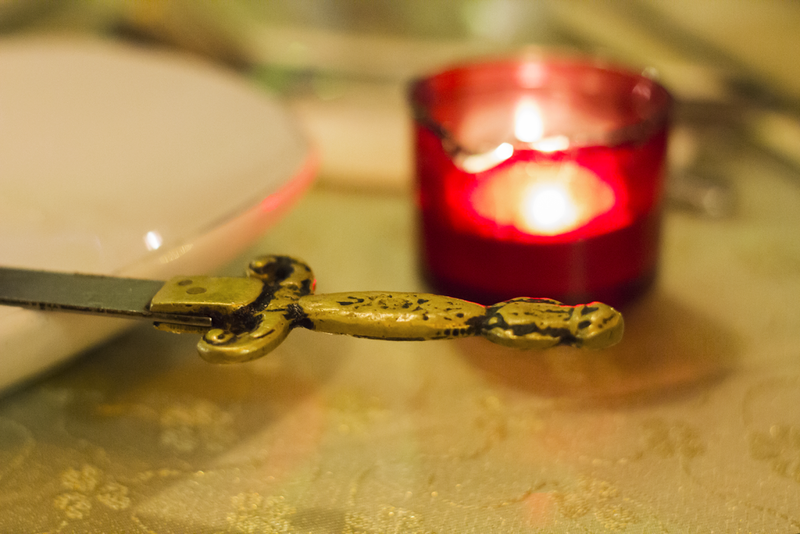 The Shish Kebab was skewered on a mini sword! (Don’t worry, it’s safe!). 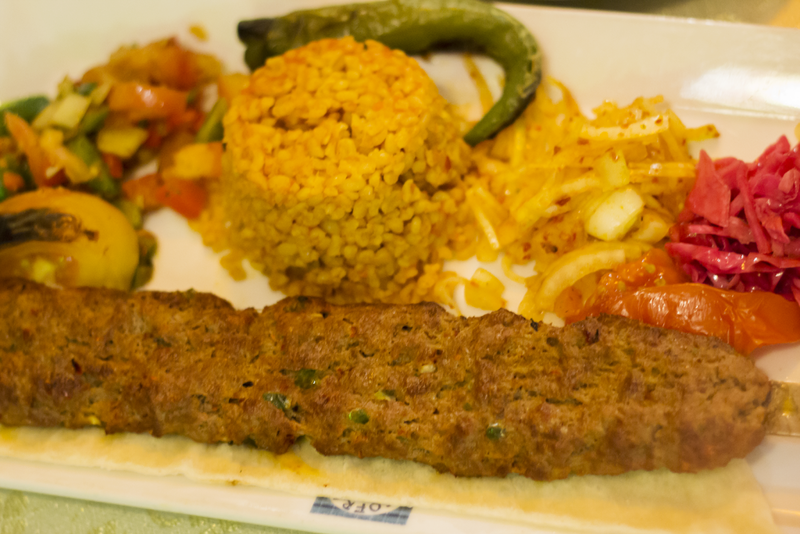 Served with Turkish cracked wheat and assorted vegetables, this dish covers the entire food pyramid in one sitting. There’s always time for desserts! Our sweet tooth won out over our waistline, and we chose to order the Baklava, Chocolate marshmallow pudding and Keneffe. Next up was the Baklava and Turkish Chocolate Pudding. 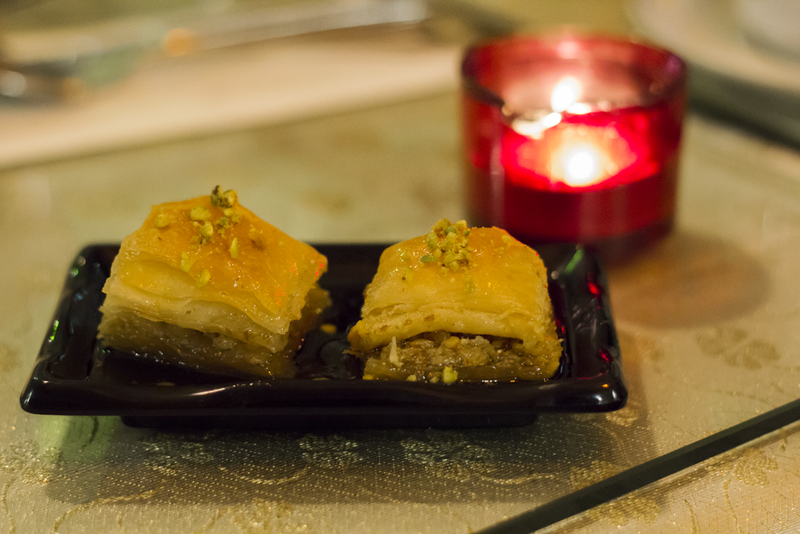 The Baklava is a homemade Turkish filo pastry topped with pistachios. Cut into bite-sized pieces, this dessert breaks apart and oozes syrup in your mouth. However, some of us found the dessert a bit too sweet (the plate was literally overflowing with syrup). The Baklava was also not as fragrant as we expected it to be. 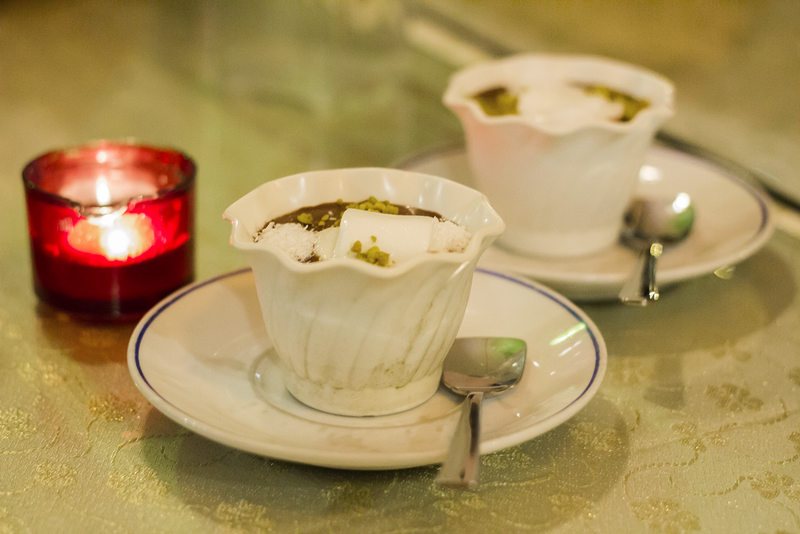 The Turkish Chocolate pudding was served with marshmallows, pistachio nuts, coconut shavings sprinkled on it. The pudding itself was light, it’s sweetness not overwhelming your taste buds when eaten with the toppings. The Keneffe is a unique dessert, and is traditionally made with a flour called semolina. The Keneffe itself is reminiscent to a rice cake, crunchy and savoury. We later realised that there was also cheese in the Keneffe, which strangely enough made the dessert taste rich in flavour. When the Keneffe is topped with syrup and cream, it takes on a whole new flavour, being sweet and creamy and crunchy and oh soooo good. A warm and inviting restaurant, which tries (and succeeds) at making you feel at ease the moment you step in. 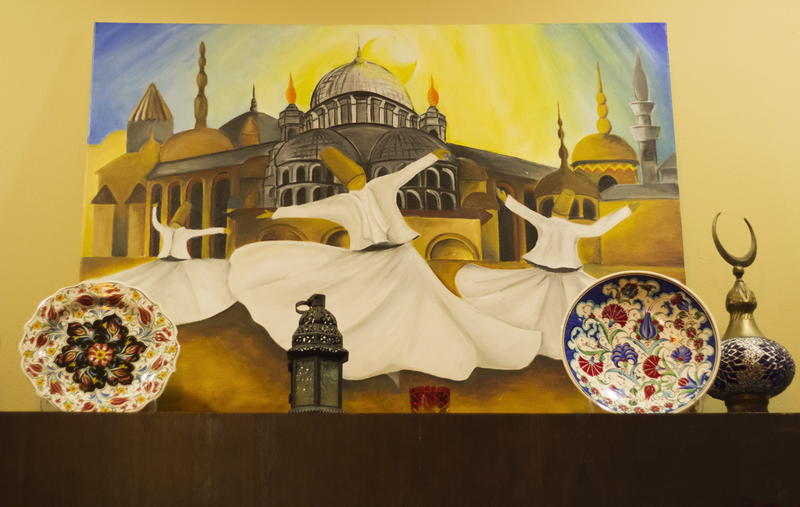 With its many Turkish ornaments, friendly waiters and authentic cuisine, Sofra Turkish Cafe & Restaurant will definitely satisfy your Turkish food cravings, and then some. Sofra is located at the second level of Shaw Towers, which is only a short walk from Bugis MRT. With its bright neon sign, it is near impossible to locate! As we were leaving the restaurant, our host approached us and sent us off with a Turkish custom: pouring a lemon grass lotion on our hands (for the guys) and rose lotion for the ladies. Clearly, you can expect impeccable service from the moment you enter the premises to the moment you step out!